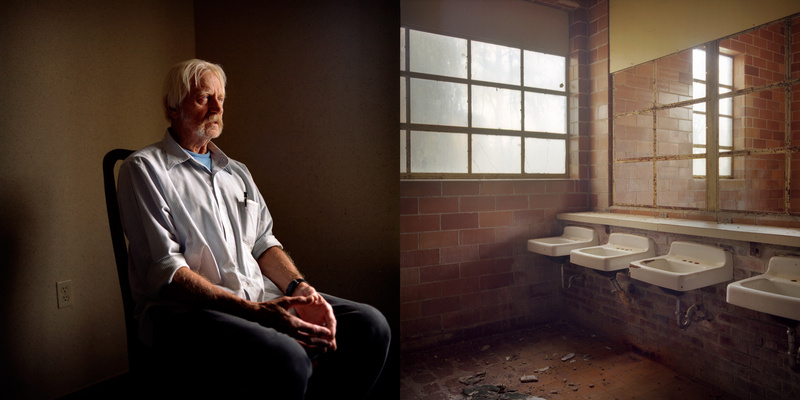 Left: Marshall Drawdy, 70, of Jacksonville spent 17 months at the Florida Industrial School for Boys between 1956-1957 for picking up a boy's bicycle and throwing it in a ditch half a block away. "When I got out, I went to work you might say," he says. I proceeded to plunder as you might say. I robbed, I stole.... I never amounted to nobody." Drawdy says that he cannot forgive tose who beat him at the school. "The whole place was just a damn hell hole and I can't forget it. They need to be in hell." Right: After beatings, survivors of the Arthur G. Dozier School said they often retreated to their dormitory bathroom to remove underwear fibers that had become embedded in their flesh.